With a best-in-class standard cargo height of 63.3-inches, inside walls that are customizable with drawers & shelving, and thoughtful features like a modular 3-piece front fascia, the 2019 Ram ProMaster is ready to help you get any job done! Couple those items with a super-strong engine capable of towing (and heavy payloads), a bevy of modern safety features, and a strong set of eighteen utilitarian body-style choices, the ProMaster is difficult to beat in the segment. Further, workers note its ease of turning and operation due to its front-wheel drive setup, as well as the lowest load floor out there today in its class. Sold? Thousands are already too, but let's dive deeper into this megalodon of the tradesperson scene down below. Is this a powerful addition to my business fleet in terms of capability under the hood? The 2019 RAM ProMaster is front-wheel drive by design (makes more room for the cargo) and has a 62TE six-speed automatic transmission mated to a 3.6L Pentastar V6 engine that powers up a Best-in-Class 280-hp and 260 lb-ft of torque at 4,400 rpm. Towing needs are handled easily by the 6,800-pound capacity when properly equipped, to say nothing of the 4,680-pound payload capacity (full-size 3500)! Honestly, 4,680-pounds of screwdrivers in drawers is overkill for any tradesman, but the ProMaster could do it! Don't miss out on the fact that there is also available Trailer Sway Control, a useful feature to keep everything ship-shape while moving. All of this power and RAM still leaves room for maneuverability with the Best-in-Class 36-foot turning diameter, something any contractor sure appreciates when they see that they don't have to 3-point turn as much as they used to! What features are of use to the general worker with this vehicle? There are three new-to-2019 models, by the way, of the ProMaster! Look for the ProMaster 2500 Cargo Van with a 136-inch wheelbase (low roof), the ProMaster 3500 Cargo Van with a 136-inch wheelbase (low roof), and that same model with a high roof instead. There are a total of 18 possible body-style and wheelbase combinations, so forgive us if we don't outline each one here! Look up front to the new "RAM" grille, and note that the side panels and blackened bumpers give the ProMaste models a freshened look, and drivers can add to that by opting for the Black-colored steel wheels. Another new item that might slip sadly under the radar without mention would be the fact that you can opt for side rear windows with steel grates on low-roof models, and high-roof models can get tough polycarbonate side rear windows. An option many may be interested in this year is the 180-degree swivel seats for the driver and the front passenger, just because it helps the occupants backs when getting up and down within the vehicle, plus saves on upholstery wear-and-tear. Staying in the cabin a moment, note as well the New optional interior LED lighting is 20 times brighter. The available Uconnect 3 NAV features a 5" touchscreen, Navigation, Integrated Voice Command, Hands-Free Calling, Bluetooth Streaming Audio, and available SiriusXM. Best-in-Class cargo width between the wheel wells of 56-inches and overall Best-in-Class max cargo width of 75.6-inches. You can have this van in a handful of wheelbase choices depending on your need, not to mention you can pick whether or not to put windows in the van at all! Same with side-doors, shelving units, roof heights and more! Buyers can even start at the foundation level with the chassis cab version and then upfit from the ground up! The exterior remains professional with a color palette made for business with traditional Black, White, Silver, Red, and Broom Yellow. Not enough? Ram has you covered with the ability to upload your own graphics with their Ram Commercial Graphics feature and then have them printed for your van! Business owners will additionally be keen to see that there are Ram Telematics (powered by Verizon Connect) that provides tracking, driver behavior data, and real-time ProMaster diagnostics and performance information. How safe is the 2019 Ram ProMaster? There sure is a lot put into the 2019 version, and that's because it has been tried and tested by the prior ProMaster models in past years. Evolution comes in the form of many superior safety features but look for an optional DOT-certified Roadside Safety Kit (by Mopar), the standard ParkView rear backup camera, and the optional ParkSense rear park assist system (on Cargo Van style only). Contemporary features also include standard front & side-curtain airbags, standard Electronic Roll Mitigation, Electronic Stability Control, All-Speed Traction Control, a Dealer-activated Speed Limiter, Hill Start Assist, and a TPMS. This is a vehicle that's setting the standard for excellence in practicality out there on the job, plus it's reliable for business owners and worker alike. There aren't too many vehicles out there that you can order customized exactly to what you want with such granular precision, and even less with proven-in-real-work-scenario features. 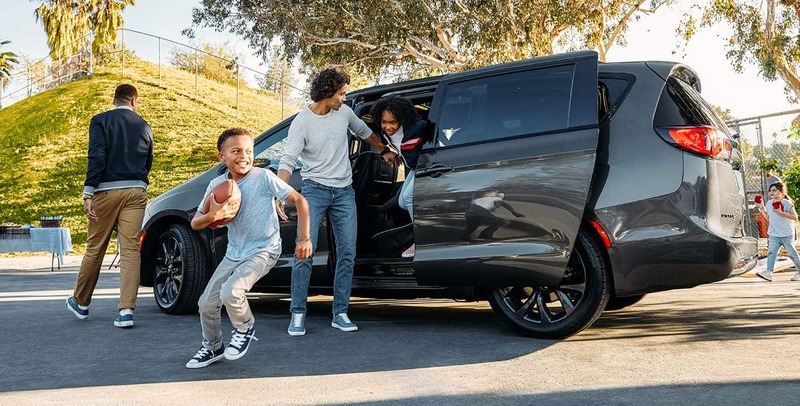 With that in mind, we know you are certainly considering this versatile van for your needs, come talk to us soon here at Classic Chrysler Jeep Dodge Ram about how you want yours to be!